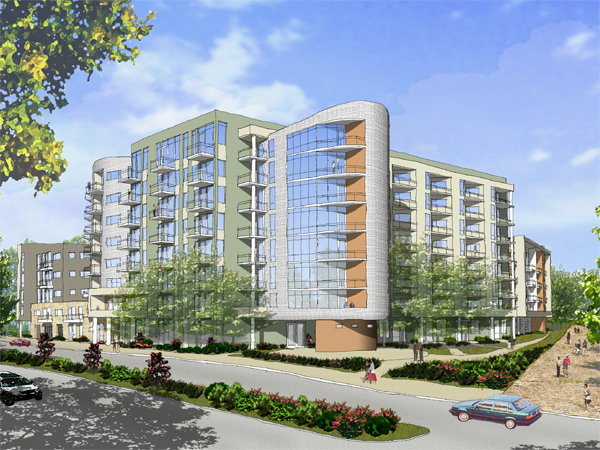 Approximately 105,000 square feet of residential units of Type V construction. Approximately 130,000 square feet of residential units of Type I construction. Elevated planter/water feature with a cable trellis system for screening the top floor of parking.